The other day, I was browsing online at H&M when I cam across this chenille sweater. I put it in my cart right away and I am so glad that I did. It's perfectly soft, terribly comfortable, and a pretty shade of purple. I figured it would pair perfect underneath my faux fur vest but also work well with a large blanket scarf. 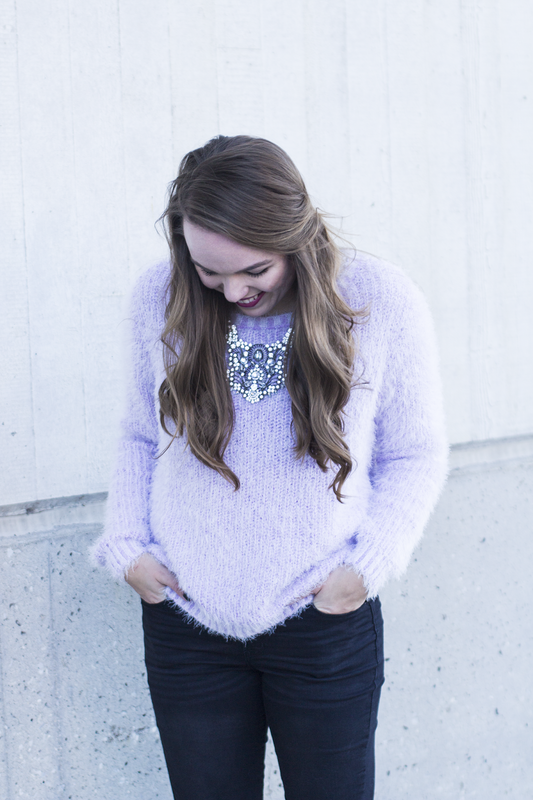 It's cozy sweaters such as these that make the winter months a little more bearable. Just as well, at $24.00 it's a steal! Anytime I am looking to "glamify" an outfit, I always reach for a big statement necklace and high heels. They seem to add the right amount of glam that I am loping for without being to over the top. 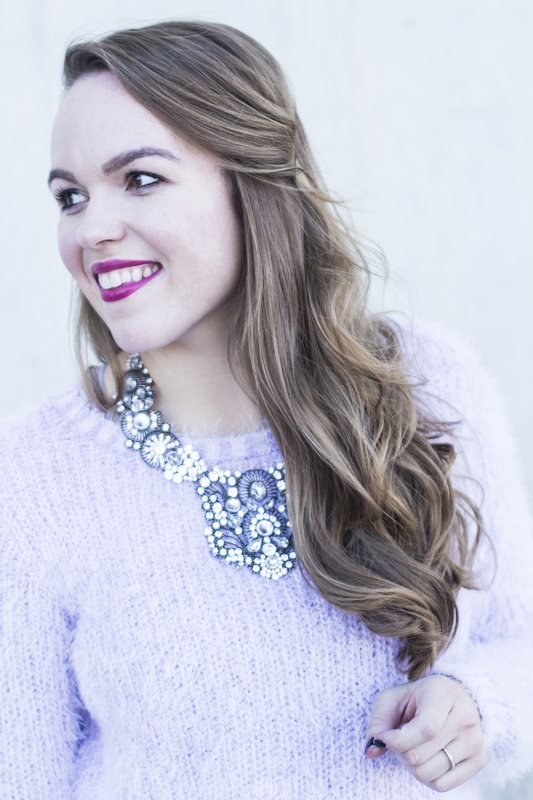 I found this necklace at Nordstrom Rack, it is definitely one of my go-to stores for stand out pieces that are inexpensive. 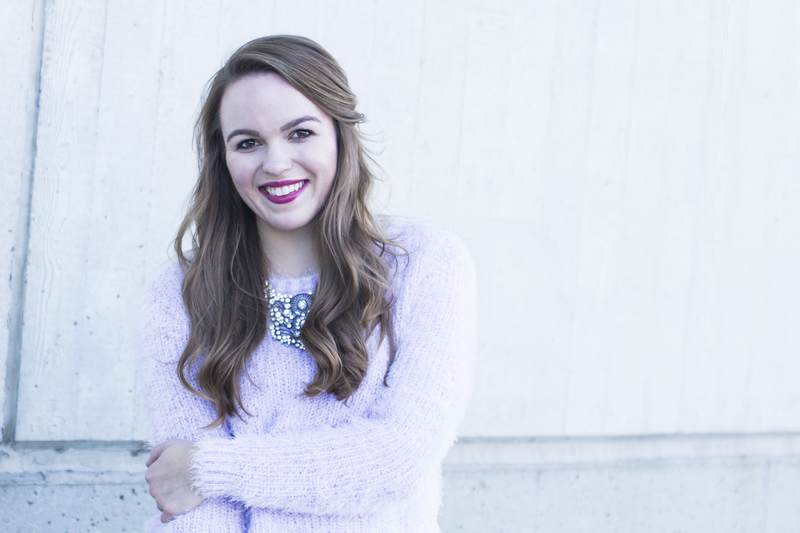 Any cozy sweaters you have that you add some glam to? On The Weekends We Shop: Cyber Monday Deals! Holiday Gift Guide: Gifts Under $20! And On The Weekends, We Shop: Gift Wrap! 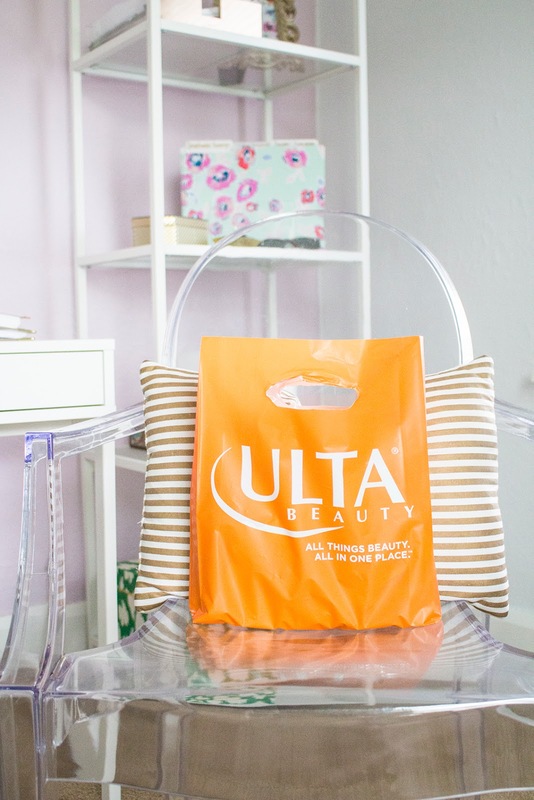 On The Weekends, We Shop: Makeup!